Shane Duffy insists the players are at fault for the Republic of Ireland's poor string of results amid calls for Martin O'Neill and Roy Keane to be sacked. Boos rang out at the Aviva Stadium at the final whistle following Tuesday's 1-0 defeat to Wales - Ireland's fourth consecutive game without a win. In the aftermath of the defeat, Sky Sports pundit Keith Andrews, who won 35 caps for Ireland, said it was time for change and blasted O'Neill saying he was "clueless" and that he should "stop moaning". However, Brighton defender Duffy has backed O'Neill, who was forced to defend his position after the loss, saying the onus is on the squad. He said: "Well, it's us out there [on the pitch], it's not them. It's us playing. It's players' responsibility to go out and perform. They can tell us what to do, but it's up to us to do it. "We've obviously let them down. The players have to take responsibility and put it right. It's obviously not good enough. "I wouldn't blame them. They're not out there. It's down to us. That's the main thing. We've got to look at ourselves." Duffy's centre-back partner Richard Keogh also backed O'Neill, saying: "If you look at his managerial career, he's had a pretty good one, I'd say. The manager is experienced enough to know football. "He's been great for me personally and I can only speak on behalf of me and a lot of the lads who have been together a long time. We've enjoyed the last five years. We've loved it. "It's a bit of a rebuild mode, but I think if you ask the manager he's still loving it. I think you could see from our performance that we're all going to the end and we're all together. That's the most important thing." Ireland are bottom of UEFA Nations League Group B4 after taking just a point from their opening three games. 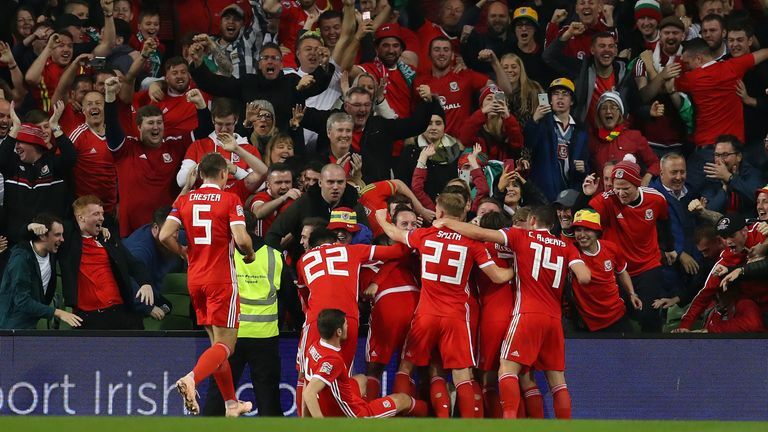 They could be relegated from the group before they fly to Denmark next month for their final game unless Wales beat Age Hareide's side three days earlier. Asked about the consequences of finishing bottom of Group B4, which would result in a lower seeding for the Euro 2020 qualifiers, Duffy said: "We're not looking at it like that. We don't think we'll finish bottom. "We've got to believe that we can go out to Denmark and win, and hopefully other results go our way. We've got a never-say-die attitude. We won't give up now. "We've still got one more game to play. Hopefully we can go out there, put a good performance in and get three points. You'd never know where that could take us.